Every few months we see news of the latest ingredient. 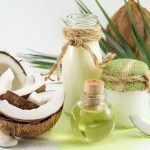 Coconut oil is the latest on the news But how do you know it is the right or even safest ingredient for YOU? 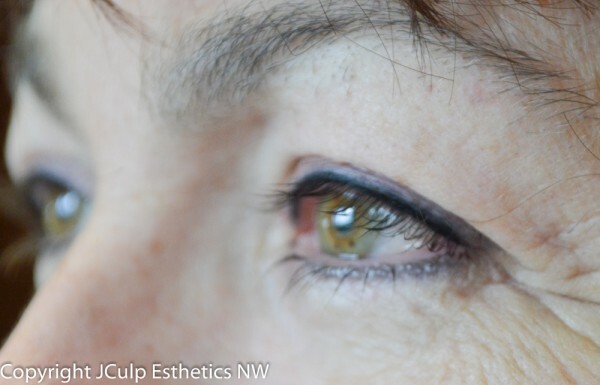 Permanent Cosmetics make your life easier! Give your confidence a boost and getting ready in the morning a breeze. For a limited time if you bring a friend and each have a permanent makeup service you will both save !! New procedures – $75.00 off. Re-enhancement procedures (single visit) $50 off. OR…. 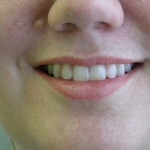 Have 2 procedures done at the same visit and we will give YOU the same discount on each procedure. Offer valid through January 31, 2017. Schedule your appointment now! I work by appointment only to assure you quality and personalized attention. My recent post on wearing gloves got positive support from many, thank you. I did find it sad that one spa said they got a negative review for their technicians wearing gloves. This shows the need for consumer education. Maybe a little flyer or insert on your web page that explains how you are protecting clients by wearing gloves. Feel free to use the following to promote client safety and help consumers understand why more and more estheticians are wearing gloves during services. Gloves are often used in esthetic services to protect the client, and the technician from transmission of potentially infectious microbes (OPIM). These tiny organisms cannot be seen by the human eye, or even with the magnifying glasses commonly found in a treatment room. If you have ever had a manicure and noticed an irritated cuticle the next day, or had a waxing done and then experienced tiny red papules in the area, this is likely caused by those microbes. Today’s technicians are taught to practice infection control and the prevention of cross contamination. During a wax procedure this would include wearing gloves, disinfecting the area, remove the hair and then disinfect the skin again. Each step is an important link it preventing irritation or infection. Any time your esthetician performs an exfoliation treatment; microdermabrasion, scrubs, galvanic, chemical peels, or ultrasonic, it can allow tiny portals in the skin to let bacteria in or out. The same is true for extraction. To protect both the client and the technician, gloves may be worn for the duration of the treatment. It is that extra step to protect you that is important to us, your professional estheticians. Even if there is no visible openings in the skin, we do not want to risk transmitting a microbe from ourselves or any other object in the treatment room onto a “potentially” open surface. Some states now require all technicians to wear gloves for all treatments. They are taking a pro-active stance to prevent any possible problem. The good news? Today’s gloves are thin, protective and have great tactile feel. You probably won’t even know your esthetician is wearing them. Most estheticians no longer use latex gloves, but if you have a latex allergy please do bring it to their attention. Today’s gloves are generally vinyl or nytrile. They should be exam glove quality. In the future you can expect to see more nytrile gloves in use as they are much more environmentally friendly, even though the cost of use is still more than vinyl. During an initial consultation always wear your eyeliner so your technician can see what your style and goals are. Very wide eyeliner, tails and wings are a bad idea with cosmetic tattooing because the tattoo does not age well. And what looks good on us in our 30’s or 40’s may not look so good in our 60’s, 70’s or 80’s. Why? Because when we apply cosmetics topically we automatically make adjustments as our face changes with time. The tattoo in the skin can’t do this. So we need to take a more classical approach and add the fashion look with cosmetics when it is appropriate. People who are sporty naturals and don’t want a “made up” look, love lash enhancement. With lash enhancement tiny dots of pigment are placed in between the lashes. The healed result is the appearance of thicker lashes. This works well for both women and men. I have found it works best for clients who have darker lashes. For those with blond lashes, the dots don’t blend in as well. For those with blond eyelashes, go for a very thin line. Anyone can wear a thin natural look eyeliner. A classical eyeliner starts with a natural eyeliner but then widens it out a bit. For safety reasons, eyeliner should not go closer to the tear duct than the last eyelash, nor should it extend beyond the last eyelash at the outer corner. The structure of the skin changes at that point and there is a high risk of migration which is not correctable. If you want it to extend farther or you like to have the outer corner upper connect to the outer corner lower, this is better done with makeup. Classical eyeliner can be applied either narrower on the inner corner and wider as it moves to the outer corner or in a dome where the widest part is directly over the iris. If you like a slightly more smudgy look, this can be achieved with a halo color. A halo color is an additional line placed just above the upper eyeliner. It is designed to disperse more and give a soft halo to the eyeliner. Halo colors are lighter and softer than the black or off-black eyeliner colors. Most pigment manufacturers have moved away from the dated green, violet and navy eyeliners, opting instead to recommend dark brown, brown black or black. While I used to do dark brown or brown black, I now avoid this whenever possible. Browns are a much weaker color and fade faster. Black goes into the skin better and stays much longer. For clients that feel black is too harsh for them, a deep moss or charcoal color is a good alternative. Many ophthalmologists recommend permanent eyeliner for their clients who have a lot of allergies or sensitive eyes. Its also great for people who have lost their close up vision or struggle with dexterity. Permanent makeup does not smear, smudge, or bother your contact lenses. It stays on right through whatever your busy lifestyle may encounter. To help it last the longest, wear dark glasses when you are exposed to UV light.